Welcome to Lisa Ross of Paper Daisy Creations, first time Indie Design Giftalong participant! I’ve never been part of the GAL, but I’m so excited to be involved. The holidays are the most exciting time of the year and gift knitting is something that is close to my heart. 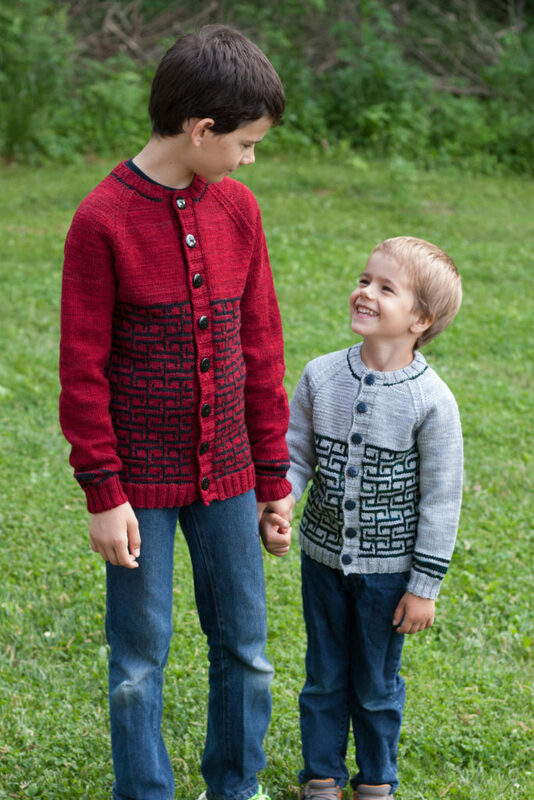 I can’t wait to knit along with others, try out new patterns, and share my designs! I spend 90% of my day thinking of knitting. I wake up thinking of my current projects and go to bed dreaming of future projects. The most exciting part of it all, though, is seeing others knitting and enjoying my designs. It means the world to me when people take the time to send me a message to let me know how much they appreciated my patterns or when they share their FO pics with me. Anything and everything! I’m constantly taking screenshots of graphic patterns I find while on the web, or photographing design elements I see in my everyday life. A huge part of my inspiration, though, comes from the amazing yarn I use. I feel like indie dyers have an artistic gift for their products and I love using these to create something amazing. I’m a full-time mom giving designing as much time as I can squeeze in! Yes, my designs revolve around the four seasons… breezy and lightweight for the summer, warm and cozy for the winter, and socks for the entire year! Yes, but only if the person is knitworthy. My favorite thing to give is sweaters. A sweater, but I would never expect anyone to knit one for me! There are too many wonderful choices! The colors of Three Irish Girls, Leading Men Fiber Arts, Countess Ablaze, and Tanis Fiber Arts always have me coming back for more. The incredible softness and unique structure of Woolfolk FAR has created my dream sweater. The amazingly smooth and strong Top Draw Sock from Skein yarn makes for an incredible pair of socks! How little time is spent actually knitting! There is SO much that goes into designing– from learning a slew of new computer programs, to creating a relationship with customers, to marketing and networking. It takes so much more than knitting to build a design business.